Moore Engineering is a leader in watershed management, having been a key player in developing, building and managing the region’s most impactful and challenging water projects, including the Sheyenne Diversion, permanent Red River flood control, the Maple River Dam and the Upper Maple River Dam, among many others. 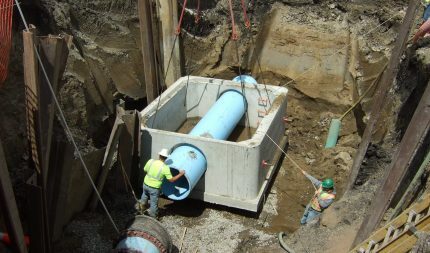 We have a thorough understanding of the regulatory process and a proven track record assisting city, county and water management organizations. Our work in water resource management over the past half century has contributed greatly to the growth and sustainability of our region. We work with numerous local and regional water resource districts, as well as local, state and federal units of government.